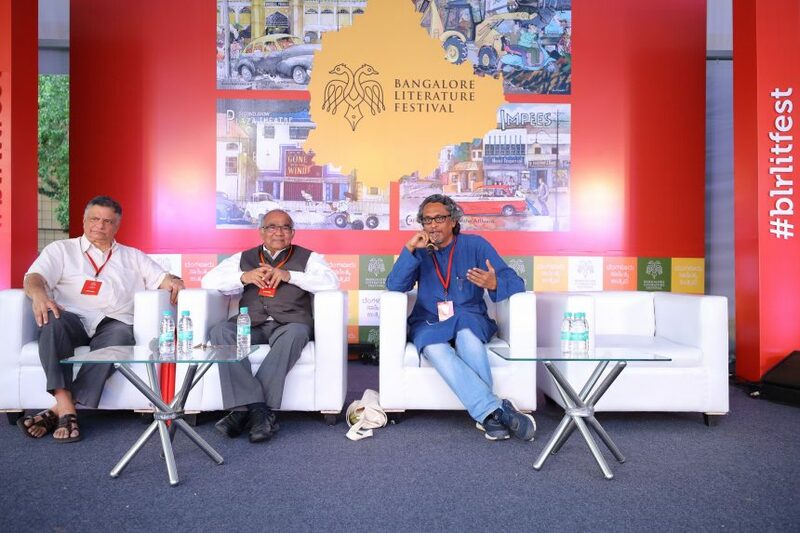 While most expect a dry little discussion when it comes to economics or the Reserve Bank of India, the session with MS Sriram, YV Reddy, and TCS Srinivasa Raghavan broke all those assumptions hands down! With wit, humour, and extensive knowledge coming together, 45 minutes flew by in a bunch of laughs, and many, many head nods. YV Reddy served as the Governor of the RBI between September 2003 and 2008, and has also held various positions of high importance. He is also an eminent writer on economic issues, with his latest book being ‘Advice & Dissent: My Life in Public Service’. TCS Srinivasa Raghavan’s experience is also extremely vast. He’s the General Editor of RBI History, VOLUME 3, and a Consultant to RBI History, Volume 4. MS Sriram is currently the visiting faculty at IIM Bangalore. He has served as an expert on various special committees. He has just completed his book ‘Talking Financial Inclusion in Liberalised India: Conversations with Governors of RBI’, a book based on detailed conversations with 6 RBI governors in pursuit of understanding the policies of Financial Inclusion. The discussion began with Sriram in the quest of understanding the various styles of the RBI Governors of the past, and how that defined the relationships between the RBI and the Government of India. TCA Srinivasa Raghavan traced back to the first Governor of the RBI who had to leave the office prematurely, and cited that as an example of conflicts that have risen between the two giants. Conflicts like these were never new, and the relationships have been awkward while trying to establish whether the RBI was an independent authority, or whether it still had to function within the purview of the Government. YV Reddy opines that even though conflicts arose between him, when he was the Governor, and the then Finance Minister, P Chidambaram, none of those made it to the media or the book he penned down, since nothing was ever personal. “A style in the public office has two aspects, skills and dignity”, Raghavan says. The style of anyone in office is defined by how one interprets the dignity in the office, and thereby defines relationships. YV Reddy quipped, the more you disagree, the more you need to seem submissive! He also went on to add that India provides enough freedom to make comments freely. That remark brought Sriram to his next question, on how Reddy managed to communicate despite an opinion that many did not fathom his words. Reddy believes that sharing confusions when there are complications is the best thing to do! The key here is to learn what not to say to get you into trouble. While it is known that Raghavan was the General Editor, and Consultant to the volumes of RBI History, Sriram sought to know from Raghavan if there was any truth in the archives of what is written so freely in the press. Very little, Raghavan says, because there are too many sources, and layers of filtration. The outcomes reported may be accurate because they have been parts of the press release, but the processes reported may not be so. YV Reddy was the recipient of the last question, how many dissents? Reddy says that’s an easy one. The difficult one would have been to answer how many dissents have his subordinates had with him! “The role of a Governor can be likened to that of a driver. You know where you are going, but you never know what lays ahead of you”, finished TCA Srinivasa Raghavan!